From the initial drive up you are able to enjoy a beautifully manicured landscape. 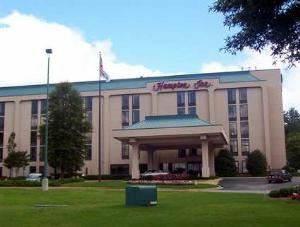 Then as you enter into the Hampton Inn you begin to relax. The lobby itself is as inviting as it it practical. It has a cross feel between southern charm and old english antiques.